Do you have the balls for Týrsday? Are you passionate about sports? Do you have creative mind and check your social media first thing in the morning? Come and join us! "It takes people to tell a story. It takes stories to build a brand." That's our motto and we are looking for you to help us share these stories. We work for amazing clients in The Netherlands and all over the world. 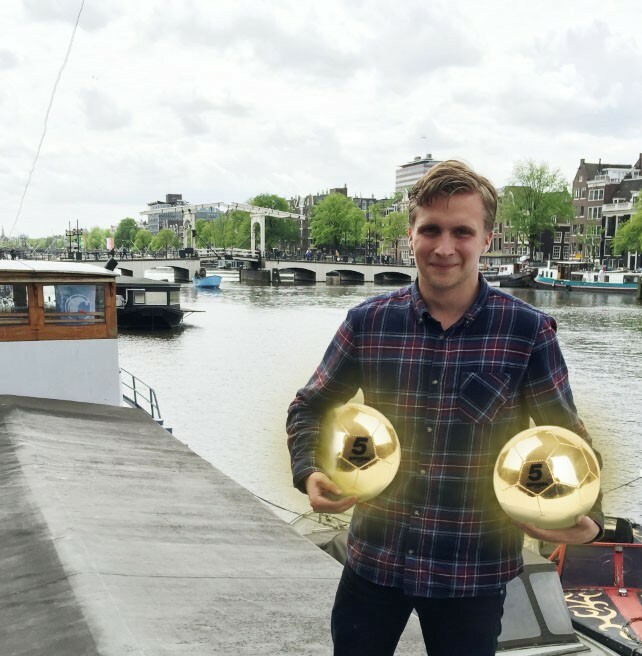 We offer you the unique opportunity to gain loads of work experience in the online world of sports, flexible work hours and a floating office in Amsterdam. An intern to manage multiple social media channels with creative and exceptional writing skills to support our blogging efforts. You speak the language of sports and don't mind a challenge. Your knowledge of social media is up to date and you are comfortable using this to make an immediate and meaningful impact with the content our clients produce. The internship is a full-time position for at least three months and we can use your help as soon as possible. Sounds like a great experience to develop digital content with and about top athletes? Don't hesitate and let us know here why you are the one that should join Team Týrsday! Want to know what it's like to work at Team Týrsday? Meet Dylan Dicker. Dylan joined Týrsday in April 2015 as an intern in his final year of his study Sport & Management. "I was looking for a young exciting company working in the sports industry where I could both have a great learning experience and contribute with enthusiasm and knowledge of social media." After two of his five months at Týrsday, Dylan is happy he was the one who got the opportunity to join the team. "From the beginning, I felt right at home and my colleagues value my knowledge. Steadily my responsibilities are increasing, which helps me further develop my understanding of sports and the world of social media." So would Dylan recommend applying for an internship at Týrsday? "Anytime! Next to the cool stuff we do, the colleagues and office are an extra bonus as well!"